Twelve days after the OD 50 and Khaleesi’s rear joints are almost back to no fluid at all. The first time they filled last fall it took a few weeks for them to go down so this is good improvement. I hope building her fitness, continuing to work and rest her structure, ligaments and joints as well as wrapping and running her legs have all helped. I am ready to get her back on trail but not hurried. 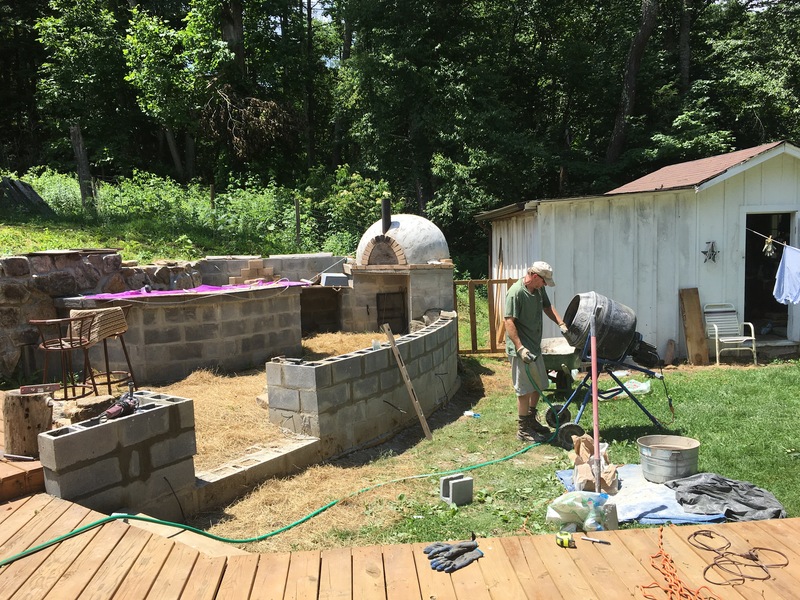 This is vacation week with Ed so we are focused more on house projects and took a day to hit the lake together. The nice thing of endurance for me has been cycles of work interspaced with down time to rest and heal so there are times to focus elsewhere. We did get back to the arena this week however and every visit to learn new things I am more addicted to the rectangle. 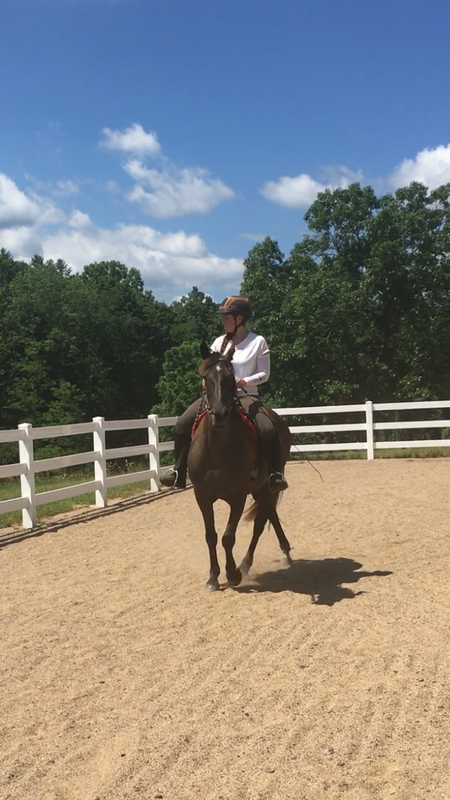 I used to think riding around an arena would be dull but in some ways it’s more exciting than the trail because I am actually learning how to drive! Sure- you can do many similar things on trail- but I generally don’t and I’ve never been with riders who stop on a trail ride to see if they can perfect their form in a circle or routinely do lateral work unless they have to move over or open a gate – I have spent an afternoon working on sepentines around trees (alone of course) and I can just about put my horse wherever I need to especially at a standstill (opening a gate) but not at walk or trot with mind to controlling a specific foot at the specific time. And these specific communications are hard enough for me without also dealing with trees and obstacles when I’m trying to learn something for the first time. I find that Khaleesi is more engaged with me in the arena than on the trail where we work on basically going straight a lot. Correction: I am engaged full time with her in the arena. 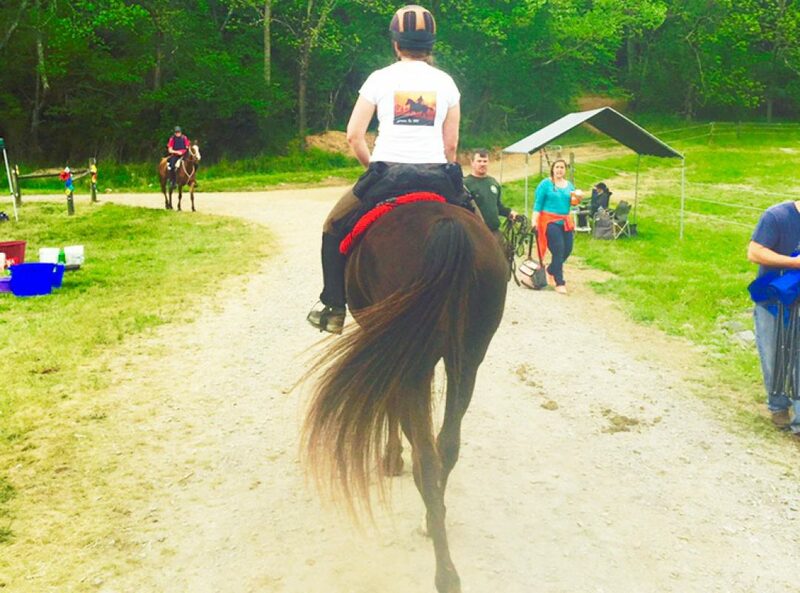 My horse goes on autopilot in the woods for sections at a time … No: I go on autopilot (and when we’re talking 50 miles- that is ok! ), but there is no autopilot in the arena. 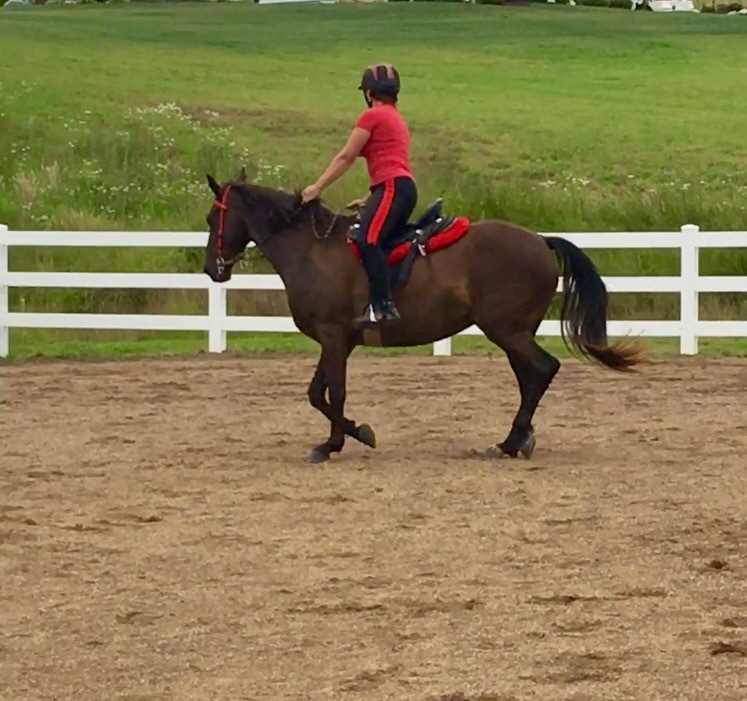 I first asked Pam for help because I knew I wasn’t posting well and my horse has a big trot. I knew we would not be a successful endurance team until I learned how to ride better. We have SO far to go, but on the other hand we have also come so far! 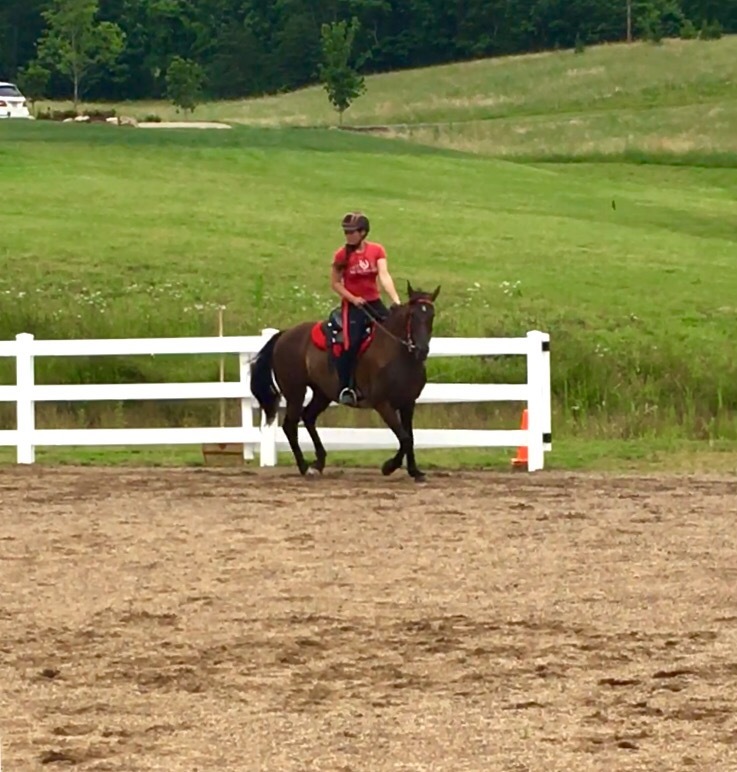 Pam said we had some good success this week and remembered back to the day I first came over when she wondered to herself what the chances were I could actually get hurt just trying to ride around the rail! She said she was always relieved that I didn’t fall off my horse! 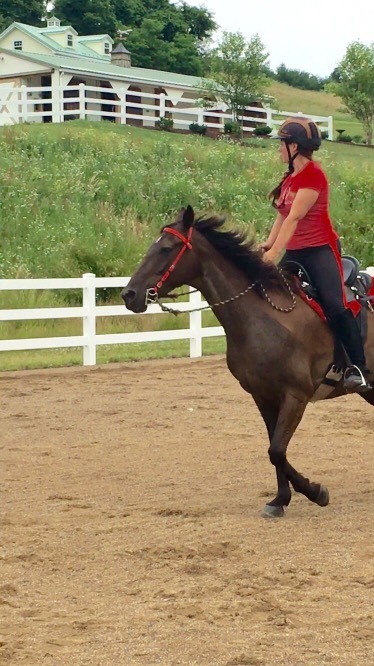 Walk with nice impulsion and do some pretty good circles! Better back ups alternating hands matching up with the correct foot. Quiet my excess hand and leg ‘noise’ still can do better here. Post more quietly in my feet- I’m still leaning forward and could use to work on my seat. And we just began asking for turns on her hind (still and at the walk). She is lifting more in her front now and moving really well. And we are having such fun learning together. It’s a little like having a sports car you have been driving around without really knowing how to use it to its full ability. It’s fun to take it on a track and see what it can do – not just going fast but maneuvering it without losing control. I can tell she is enjoying it too. It adds variety to our world and breaks up all the trails and conditioning yet the lateral work we do in the rectangle is wonderful for adding strength and helping her carry herself well. 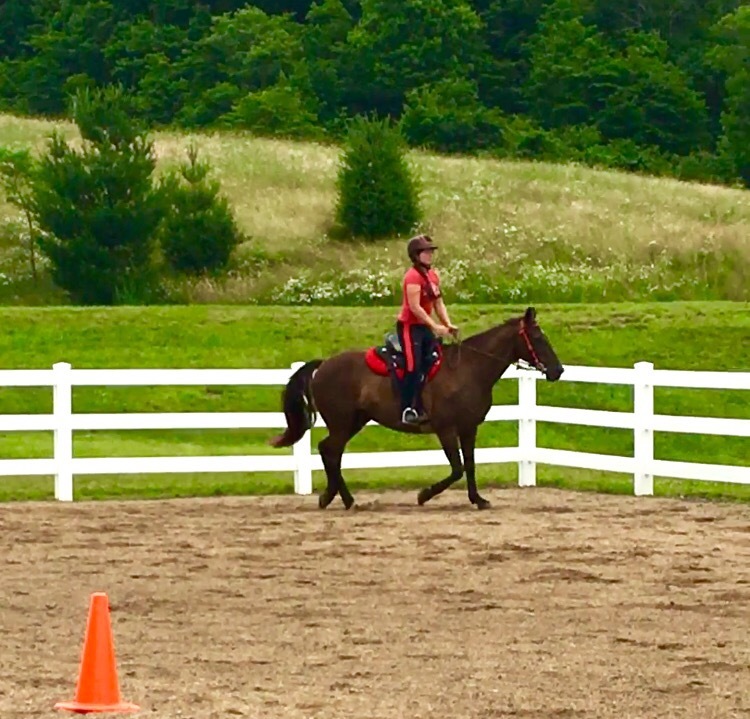 When I was first getting started with distance riding, I read a book by Donna Snyder-Smith that I really liked– she discussed the importance of the rider also being an athlete, as well as the importance of correct riding on the horse’s physical well being. 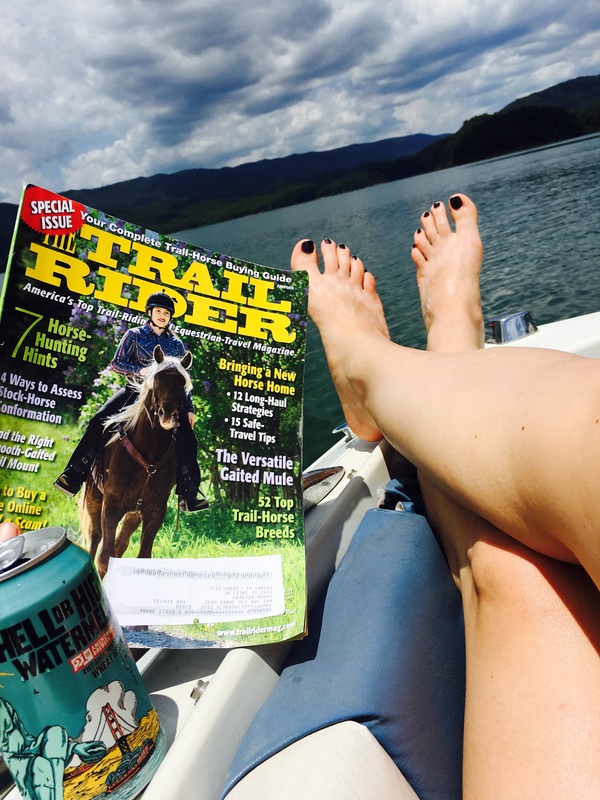 I think I did a review of the book on my blog…you might like it!